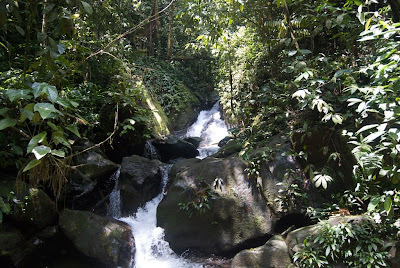 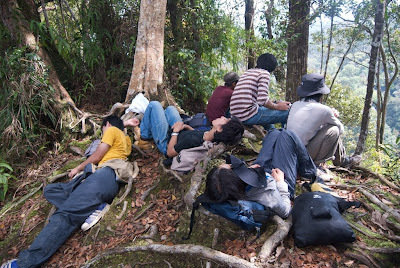 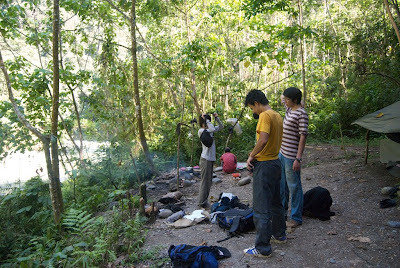 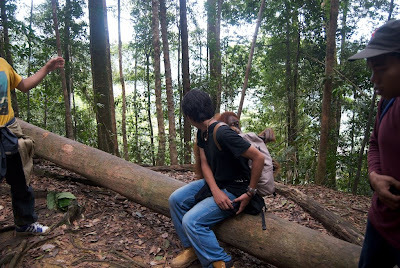 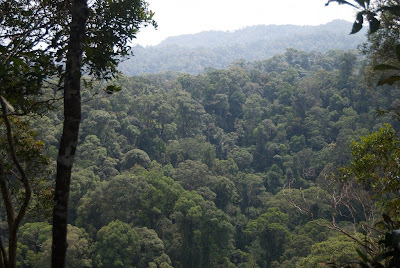 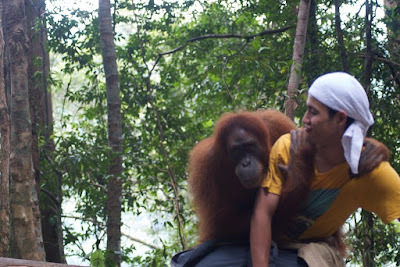 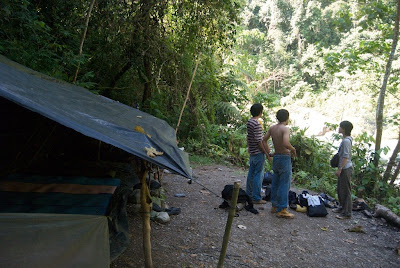 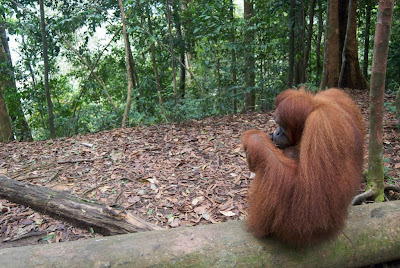 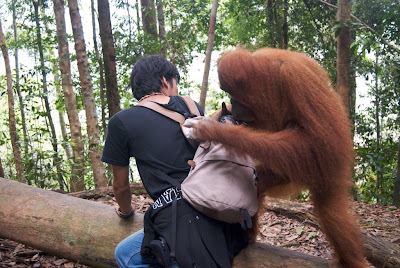 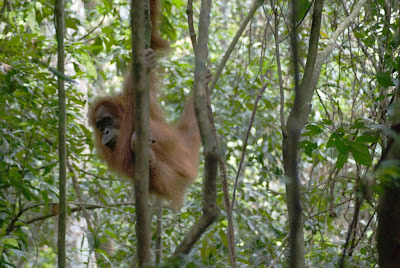 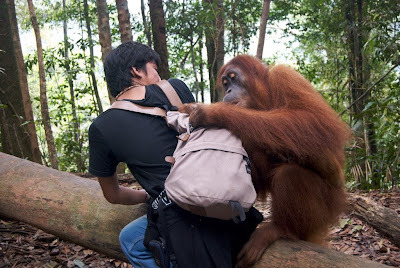 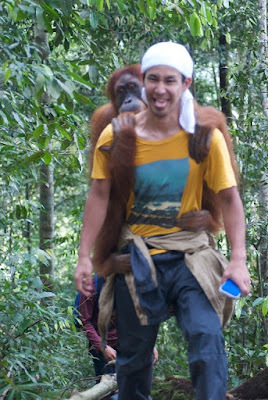 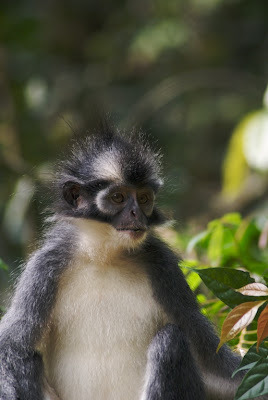 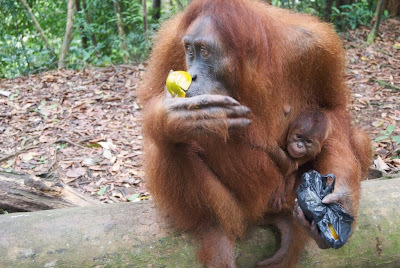 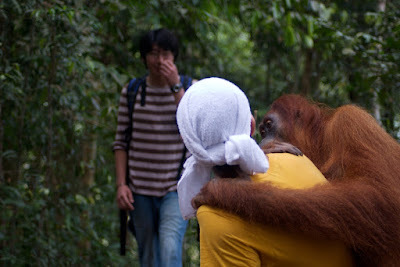 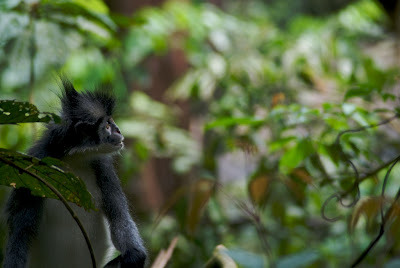 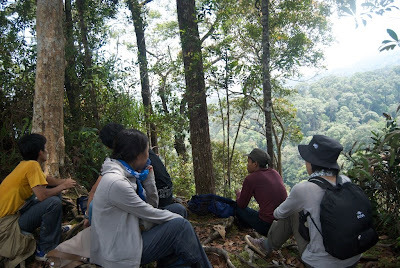 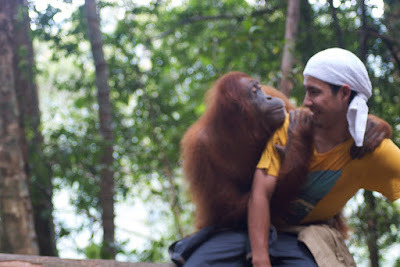 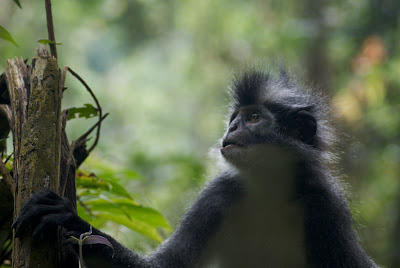 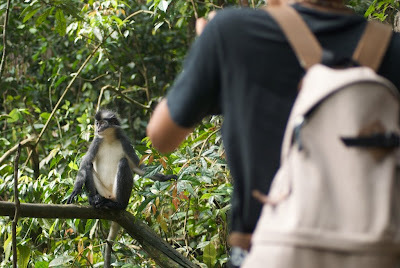 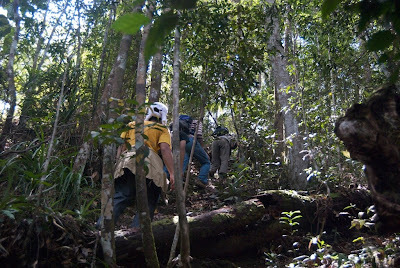 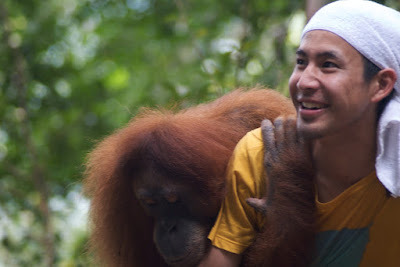 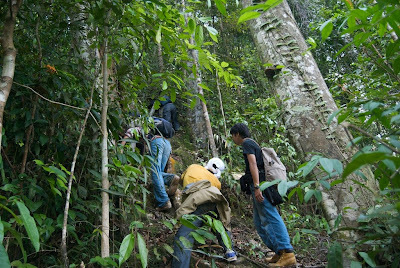 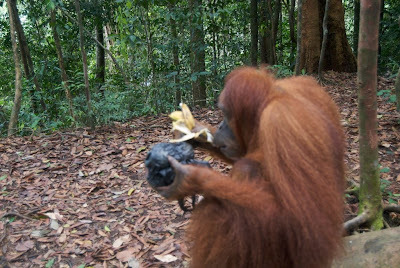 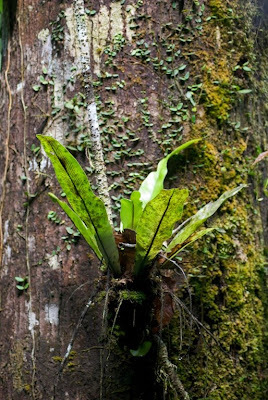 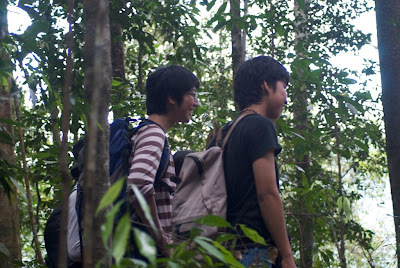 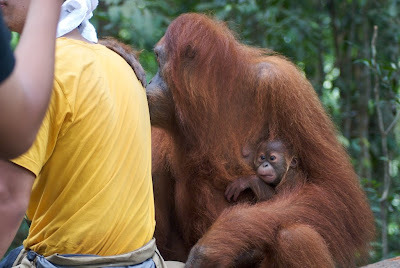 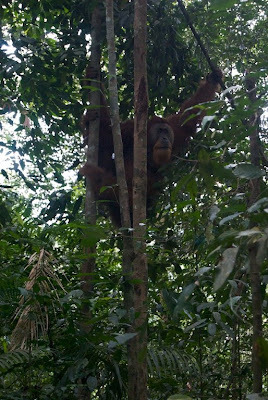 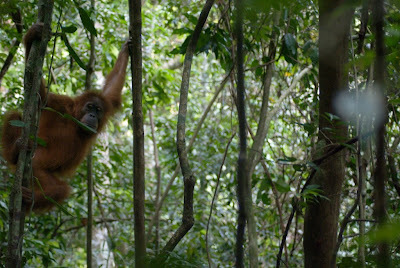 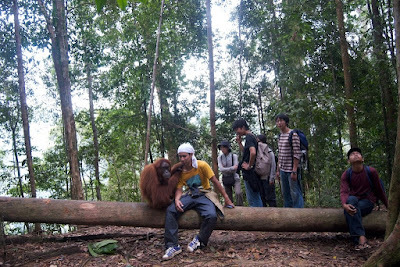 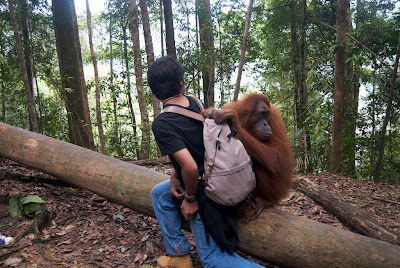 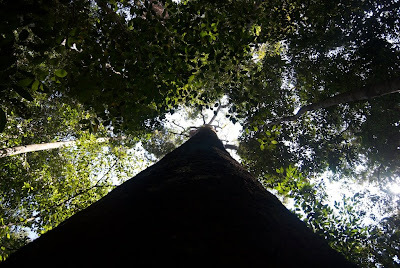 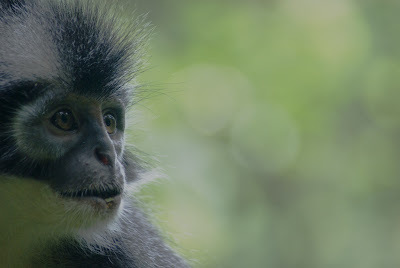 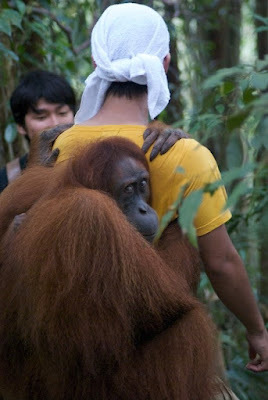 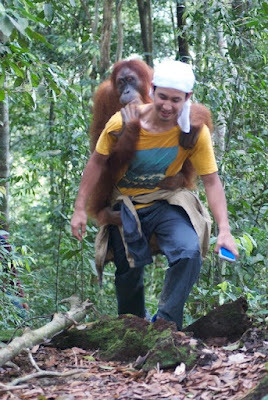 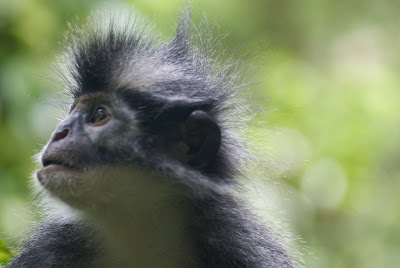 we did tracking over one night in the jungle..
and suddenly and orang utan caught yuya and spectacular...! 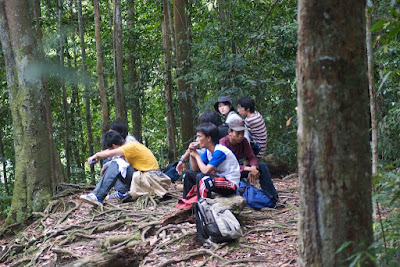 i was between amazing, surprising, worrying in case something happen by that and kept taking the photo. 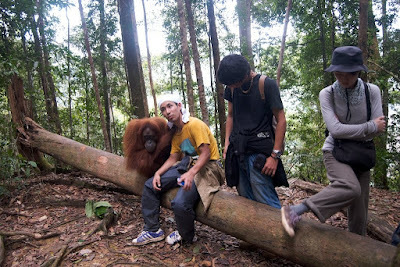 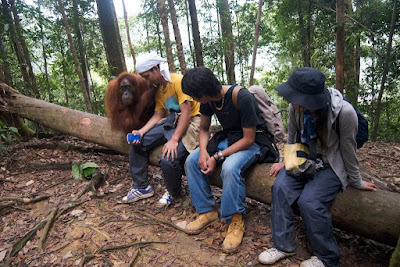 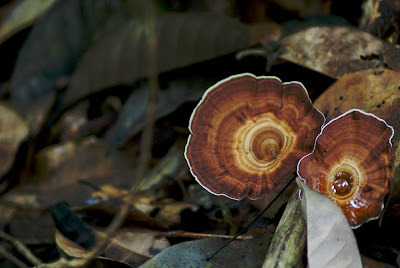 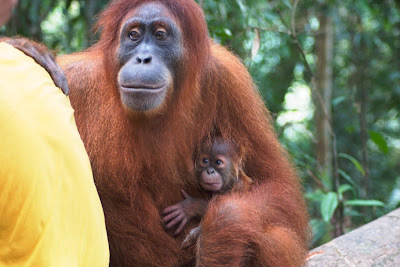 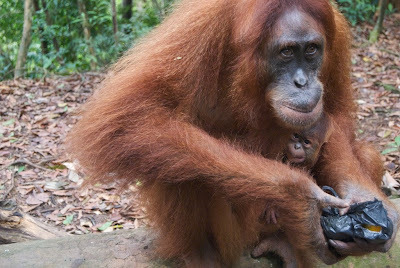 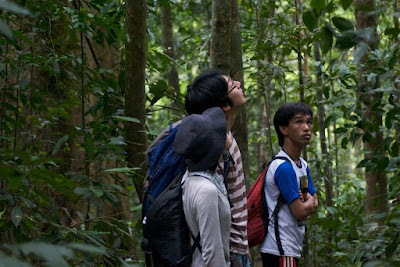 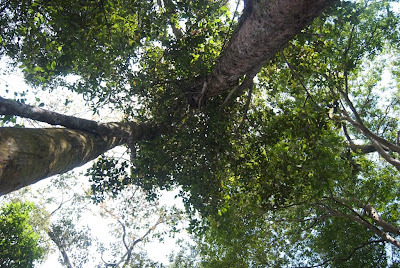 combination of the senses..
we were lucky to meet many orang utan and we did not meet mina (orang utan named mina). 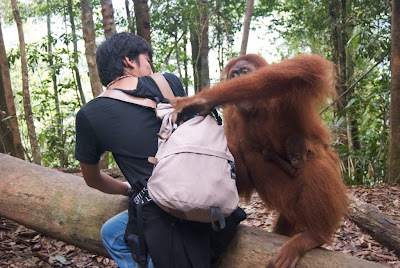 a day before, a korean girl showed me her pic when mina took all her lunch and our guide was little bit traumatic to mina as mina once bite her.